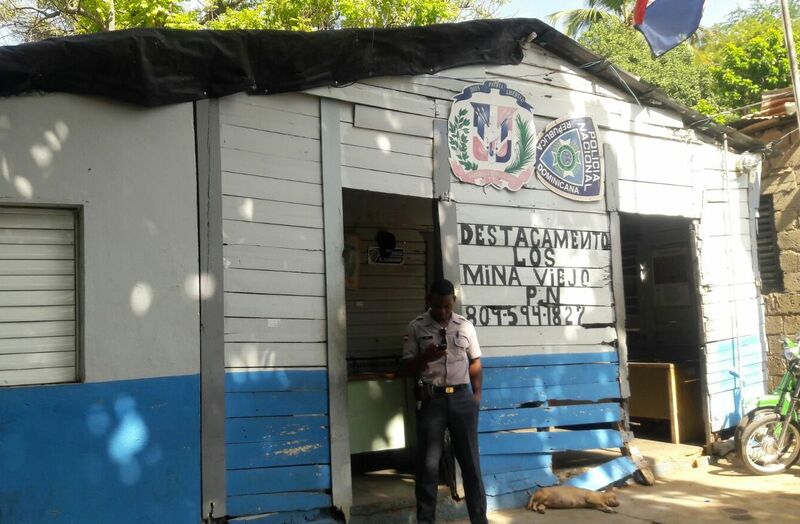 The Dominican Republic's National Police force is back in the news again, as an image of the precinct in Los Mina Vieja has scandalized social media due to the level of decay in which it currently finds itself. Last October, a member of the Caribbean island's police recorded a Youtube video decrying his "onion salary," and how he was forced to survive on a pittance of a mere 100 dollars a month, in a country whose economy is the fastest-growing in Latin American, increasingly making life extremely expensive for natives as a large influx of moneyed foreigners elevate the cost of everything on the island, from real estate to the price of a bottle of water. Sonia Mateo, a prominent senator for the ruling party, has currently created a splash among Dominican netizens after decrying that her salary as a senator was so meager that she couldn't even afford a "little apartment" in the capital, or even a bottle of water. The Dominican Senate gave itself a raise this week, so that Senator Mateo could finally buy herself that bottle of water and drink it comfortably in her new apartment, but the average Dominican police officer will still continue earning 1/60th of what a Senator makes, despite the level of corruption and inefficiency which the grave economic situation of sometimes-malnourished officers exacerbates. Just today, jealousy drove a man to stab his lover and three other women. Could it have been prevented? The country's Attorney General just today also announced that his office will be taking a much more proactive approach to crime prevention, but already some are decrying that he is merely creating extra bureaucracy where fat cats will get paid 60 times more than those who are risking their lives to actually prevent crime. The Dominican government simply does not have its priorities straight, and that the people would tolerate senators jacking their own salaries up as citizens die and police officers are forced to work in dilapidated precincts only serves to lower their morale and reduce their willingness to solve crimes.